The Turkey Point Peninsula has been around for a great deal of time, and therefore has a deep history. Many of our residents are second, third, and even fourth generation in their families to reside here. 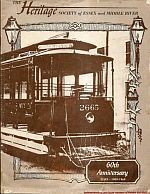 This page is devoted to sharing the history of Turkey Point and Rockaway Beach with old, and new residents through multimedia such as ; photographs, newspaper clippings, home movies, etc. Please take a moment to “walk through time” and reflect back on the memories made here on Turkey Point! 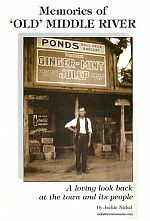 *We are always on the lookout for old photographs or home movies of the peninsula. If you have some you’d like to share with us, please contact contact our site administrator Kevin McDonough. Also available for $20 at The Heritage Society of Essex and Middle River gift shop. Essex-Middle River was a destination for waterfront recreation. Its recent publicity as the shoreline showplace of the 21st century is merely history repeating itself. To visualize the unfolding results of revitalization is to recall the days when Essex was known as “the rising suburb of the east” with Middle River as its shining star. Free download courtesy of the Heritage Society of Essex and Middle River’s archive.org collection. 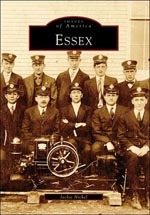 Also available for $5.00 at The Heritage Society of Essex and Middle River gift shop. 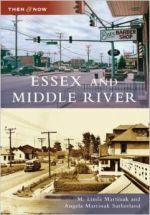 The origins of Essex and Middle River can be traced back to the early 1800s, though Essex did not attain an official community name until 1908. The area grew rapidly, particularly because of the Glenn L. Martin Company, which employed more than 53,000 residents during World War II.